About a year ago, a certain watershed mobile augmented reality game based on a familiar video game franchise was released into the wild. Today, a number of imitators and emulators have introduced their own location-based games with hopes of similar success. The process of replicating Pokémon Go is about to get easier, as early access to the location-based game development platform from Motive.io is beginning to open up. The company, having previously issued early access codes to attendees of the Game Developers Conference and Augmented World Expo, will release additional codes available on July 10 to developers who register on their website. As Next Reality reported earlier this year, Motive.io gives developers a drag-and-drop, web-based authoring tool to build their own location-based augmented reality games. Developers can use landmarks, beacons, GPS coordinates, day and time, and other real-world conditions to trigger events within the game; alternative targets can be designated when the intended targets are out of range. Motive.io also integrates with Unity, supports the usual mobile platforms, and provides hosting services for user data and game assets. 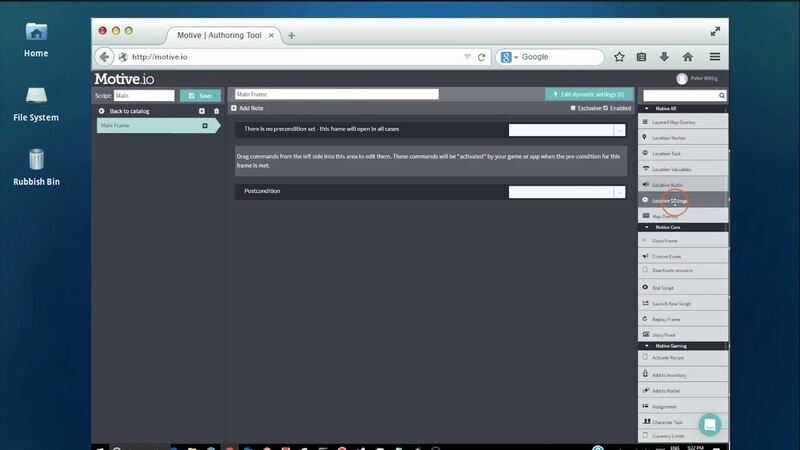 Users can start building apps with a Unity template or from scratch with a free account. Paid accounts, which range from $59 to $495 per month, get access to GPS and AR features, with variable licenses, projects, and storage based on the subscription plan. Early access is currently only available for the Team plan, which allots five seats, three projects, and 10 GB of storage. Custom packages will be available for larger scale enterprise implementations. The turnkey nature of the platform caters to organizations seeking to build an app for a specific project or campaign, as evidenced by the work of early customers. For instance, Soundwalk Collective and Times Square Arts built an app with Motive.io that enables Times Square visitors to explore the Amazon. The University of British Columbia tapped Motive.io to teach students about the Canadian Pacific Railway in Vancouver. Other companies are leveraging the platform for their own business model. ConQuest is leaning on the platform to build games for conventions, with the Vancouver Comic Arts Festival volunteering to vet the app (available on iOS and Android) at their event. Ubisoft used the system to create Shape Up Battle Run, a fitness game for iOS, Android, and Windows Phone in the vein of Zombies Run!